Graffiti. Panasonic fz 1000. Austin, Texas. I know that the "Graffiti Wall" has truly become an Austin icon. 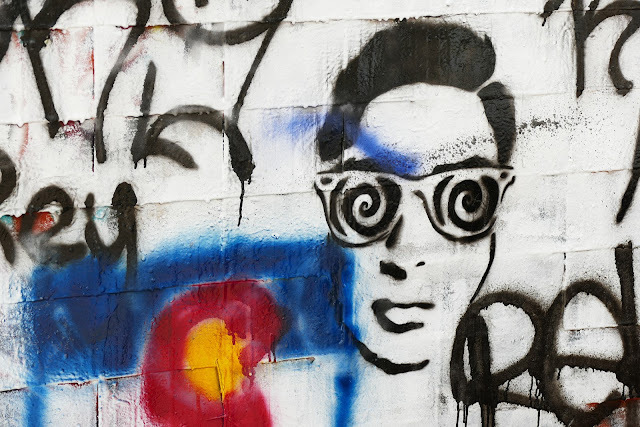 We're just into the first few days of the SXSW Music Festival and the crowds making the pilgrimage from the Convention Center in downtown to the Hope Outdoor Gallery (official name) are amazing. The tourist attraction has gone from hundreds of visitors a day to thousands. All coming to see four stories of concrete covered with the visual musings of a wide spectrum of "artists." I think that this week the Wall is a more popular tourist attraction than the state capitol building or Barton Springs Pool. I shot this a few months back as a first run test of the Panasonic fz 1000, the slightly slanted doppelganger of the Sony RX10 and RX10ii. One Man Band. 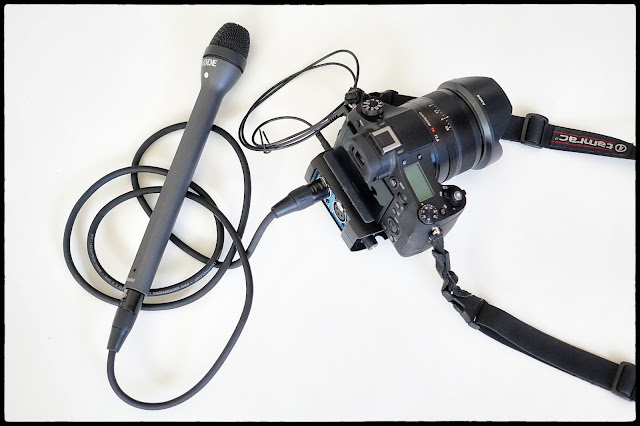 A Workable Rig for "Man in the Street" Interviews. Sony+Rode+Beachtek. I had the idea that I might want to go down to the big SXSW Festival this year and do something a bit different. I've walked around and photographed many times before but at some point the single, untethered image just starts to seem superficial. This year seems to be the year to go down and make a long video snapshot of the event, as it occurs in the streets, over the course of a few days. I'm a loner by nature and wanted to put together a video shooting rig that I could handle by myself. No army of assistants or producers in tow. No one to hold a big boom microphone or stand around with a notebook, getting names and jotting down timecode. The camera has to be small and mobile. The microphone should be something that works well in a crowd or on a noisy street. And I should be able to operate it all with very little intervention. Given my current inventory of cameras it seems as though the Sony RX10ii fits the bill nicely, where the camera is concerned.